On Feb. 28 at 10:17 a.m., the Tufts University Police Department (TUPD) and the Medford Fire Department responded to a fire alarm at the Science and Engineering Complex (SEC) at 200 College Ave. An overactive humidifier in a lab housing insects had triggered the fire alarm. Medford FD reset the fire alarm. No insects were harmed. Later that day at 7:00 p.m., TUPD responded to a call in a Latin Way suite that the bathroom ceiling was leaking. The source of the leak was unknown. Facilities removed the ceiling tiles, stopped the leak and replaced the tiles. On March 1 at 7:00 p.m., TUPD and Tufts Emergency Medical Services (TEMS) received a medical call at 163 College Ave., where a student had reportedly been hit by a car. However, once TUPD arrived on the scene it was made clear that the car hit a sign, which in turn hit the student who was walking their dog. The student was transported to the hospital for further evaluation. 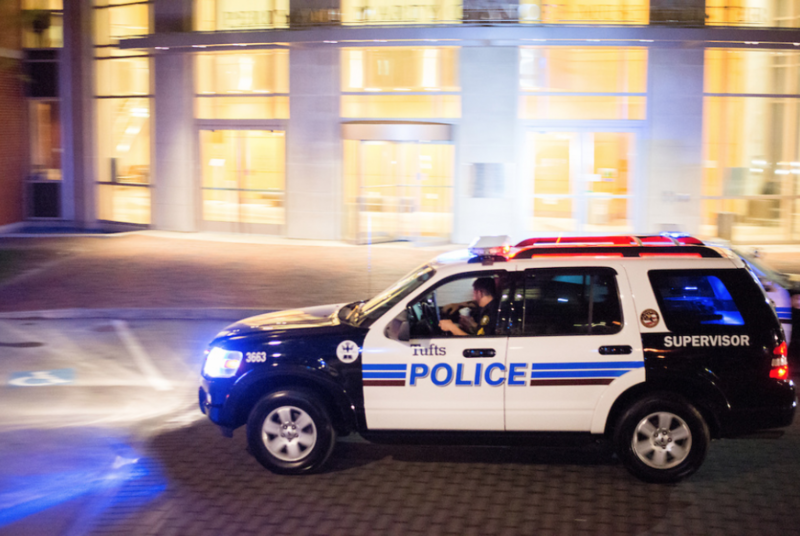 On March 2 at 9:23 a.m., TUPD and TEMS responded to a call that a pedestrian had been hit by a vehicle in front of Olin Hall on Packard Ave. The pedestrian sustained unspecified injuries and was transported to the hospital for further evaluation. On March 3 at 1:00 p.m., TUPD received a report of a breaking-and-entering of a car on College Ave. The car’s owner found their handicap placard missing from the front windshield, but nothing else was taken and there was no damage to the car or sign of forced entry.